The Kingdom of Cambodia that is located almost at the other end of the world can not complain about the lack of visitors Where to go when travelling in Cambodia from all over the planet. There are several reasons for this: exotic, lush and almost untouched nature, a great beach holiday on the ocean and, not least, a remarkable amount of attractions of incredible antiquity and discouraging preservation. The pearl of the Cambodian excursion is the magical Angkor, a temple city in the heart of a national park with more than two hundred buildings, which can not be explored in detail even by the most enthusiastic amateur of history. But apart from this, Cambodia will find something to surprise: the expanses of national parks with their wet forests and waterfalls, pagodas and Buddhist stupas, sad evidence of the recent history of Democratic Kampuchea, colorful markets and magnificent museums, literally stuffed with Khmer antiquities. 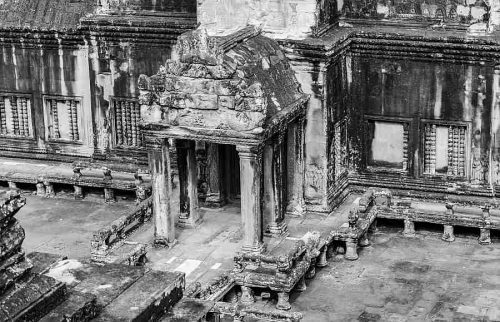 We can talk about Angkor for a long time, but only a personal visit will give you a true idea of this large-scale complex. The temple city, built continuously for four centuries, is an incredible masterpiece of engineering and sophisticated art, as well as amazing knowledge: its plan repeats the scheme of the starry sky, and there is a Khmer inscription that its purpose is to symbolize the movement of the stars in one of the buildings of temple city. The capital of Cambodia, Phnom Penh is another mandatory point of the excursion program. 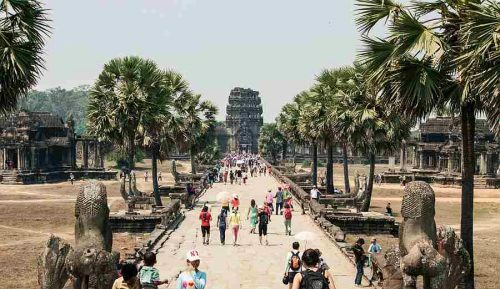 This motley city has absorbed the features of both the ancient Khmer culture, the French colonial trends and the communist rationalism of the new government. The list of its attractions is immense: the Royal Palace and the Silver Pagoda with numerous valuable Buddha statues inside, Wat Phnom Hill abounding in religious buildings, vibrant Asian markets where, it seems, you can buy everything that your fantasy can tell, and the magnificent National Museum of Cambodia with statues and household items of the ancient Khmer era. 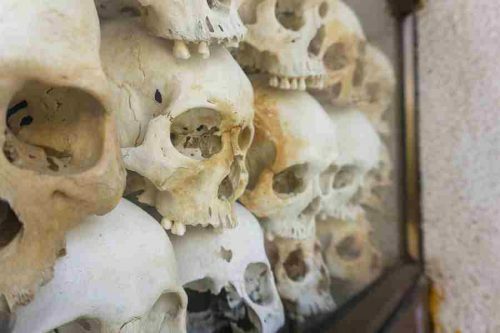 The highlights of Phnom Penh’s sights refers to the years of Pol Pot’s bloody regime: the Tuol Sleng genocide museum, located in the former prison building, and Choeng Ek Killing Fields, where more than 70,000 “objectionable” Cambodians were killed. Cambodia is a country where discoveries, portions of surprises and impressions are waiting for you. Many people are mistaken when they think that the only one thing to see in Cambodia is Angkor Wat. 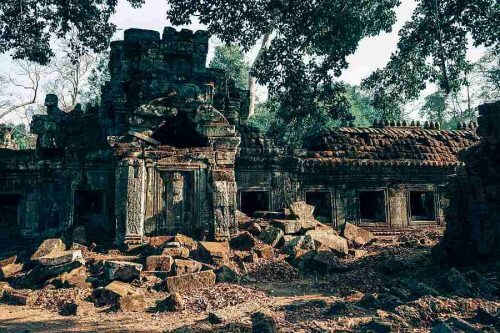 In addition to the heritage of the Khmer Empire, which every Cambodian is proud of, there is still a dozen of things to which your attention should be paid. Cambodia is often not just amazing, but also shocking. You can see a well-groomed, green section of the street and even a skyscraper. And, at the same time, you can see beggars sleeping on the pavement, and the children digging in the trash. The local population is mainly Khmer. This is a friendly people who are happy to meet tourists. Due to the civil wars, Cambodia has recently become a tourist country, so the locals have a positive attitude towards foreigners. 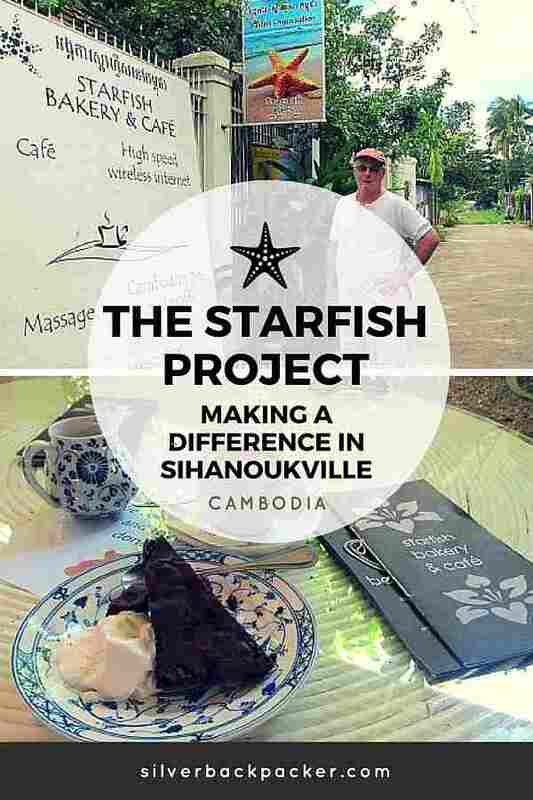 Beach lovers should head to Sihanoukville. Here you can find a beach for every taste, from stormy beaches with cafes and souvenirs to quiet, deserted wild sands. Fans of outdoor activities will not get bored in Cambodia. The nature of Cambodia is as interesting as its historical sights. First of all, tourists, of course, go to explore the magnificent ocean beaches in the resort city of Sihanoukville and its scenic surroundings. The white sandy coast there is framed by lush mangroves, behind which the mountains covered with evergreen forests rise, and near the coastline are located almost uninhabited islands, where you can go for a day, hiring a boat. One of the most popular natural attractions of Cambodia is the river and the Tonle Sap lake. The river is unique as it changes the direction of its flow twice a year, and “floating people” live on the lake – representatives of the local people who spend their whole lives in boathouses. And of course, you should definitely visit the national parks of Cambodia, where you will meet the biblical diversity of wildlife and incredible landscapes of paradise immediately after its creation. What to see and how to have fun in Cambodia? The most interesting places are located in three cities of Cambodia – Siem Reap, Phnom Penh and Sihanoukville. This is the route chosen by many travelers. 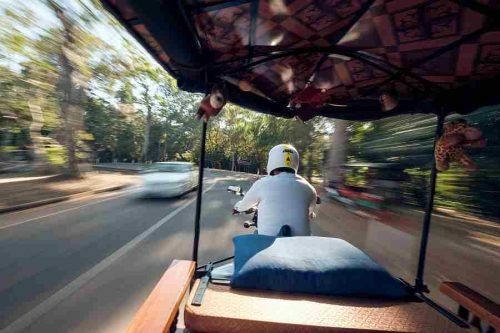 For example, they fly to Bangkok, from where they fly over or ride a bus for a few days to Siem Reap, then for a couple of days to Phnom Penh and then to the beaches of Sihanoukville. The second popular route in Cambodia is to fly to Phnom Penh (or to Ho Chi Minh), then go to Siem Reap, and then go on to Sihanoukville. So, here are 6 interesting places in Cambodia that are worth your attention. All these cities and events can be easily viewed independently. 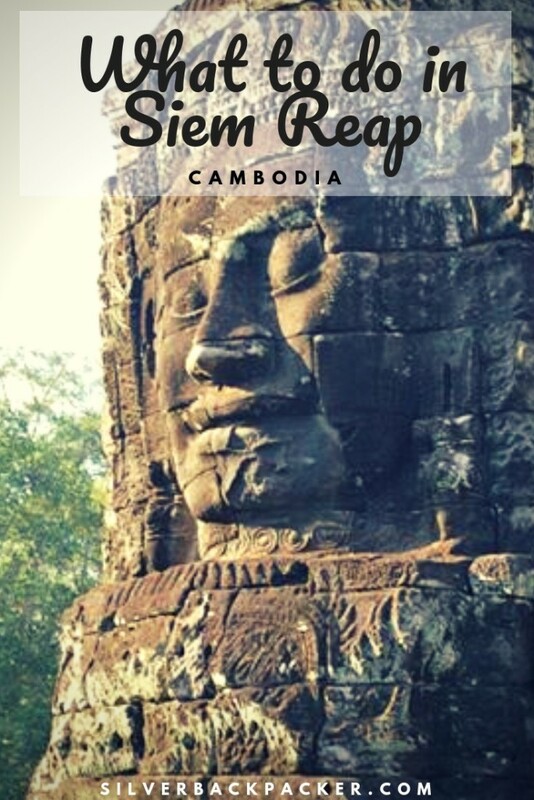 We offer you an interesting route to the sights of Cambodia, calculated on the standard two weeks trip. Let’s take a look at them! This is one of the most interesting places in all of Asia. Travelers from all over the world strive to visit Angkor and experience the former greatness of the ancient Khmer civilization. And you can’t be an exception. Angkor will eclipse all the temples that you have seen before. If you avoid any “strongly tourist places,” then we advise you to sacrifice your principles and come to see Angkor. Take a look and feel the life on the lake. Houses on the water, the life of people who live in houses on the water all their lives, for the most part, due to lack of means for a full existence. You will realize that while you are dreaming of an elite country house, someone is dreaming about food on the table and running water. Traditional Khmer dance will plunge you into another world. Their postures and hand movements, bending fingers, which girls learn from childhood, will not leave anyone indifferent. We highly recommend that you visit this place. The former Tuol Sleng Prison will open your eyes to the tragic story of people’s lives, and the events that occurred in the 70s during the reign of the Khmer Rouge, led by Pol Pot. The name of this place is due to the fact that the floors there are lined with solid silver bars. It was built in 1892 under King Norodom. In the center of the pagoda, there is the Emerald Buddha, opposite of which are many other Buddhas. Big attention is drawn to the 90-kilogram Buddha, adorned with glittering crystal. The atmosphere of wealth and greatness reigns in this place. The temple is located in Phnom Penh and is holy to the locals, many go there to pray, and there you can meet “fortune tellers.” The name translates as “Temple-Mount” and is located on a hill 27 meters high. A special feature of this place is the presence of animals: a tourist can feed monkeys, which amuses visitors everywhere, as well as watch exotic birds and even ride an elephant. Summary – The Kingdom of Cambodia is located in Southeast Asia. The country has a mild climate, which depends on the monsoon, the average annual temperature is 25°C. The rainy season lasts from September to mid-October. A trip to Cambodia will be interesting to lovers of scenic nature, exotic beaches, and ancient temples. You will never get bored in Cambodia! My name is Erica Fleming. 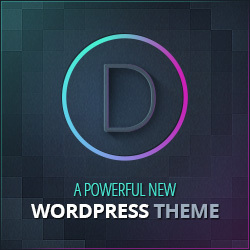 I support the effective adoption of new technologies or ways of working within writing by communicating complex information in an informative and inspiring way. My works you can find at freebooksummary.com I’m fond of writing articles for students, helping with essays. Did you like “Travelling in Cambodia 2019″ ? If so then please share this page with your friends.